5th District of Los Angeles County. Altadena is not an incorporated city, like Pasadena or Los Angeles, so we don’t have a mayor or a City Hall; instead, Altadena is managed by the Los Angeles County Supervisors. 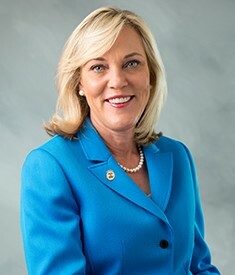 Supervisor Kathryn Barger is our “Technical Mayor” but besides Altadena, she’s also responsible for 71 other towns—a total of almost 3,000 sq miles, over 2 million people; so, she relies HEAVILY on our Town Council to help her make decisions that affect YOU!